Danger, Amazon Kindle and Barnes and Noble Nook: Things are looking pretty grim for your product category. After a meteoric rise, sales of e-readers seem to be spiraling downward, thanks to iPads, Kindle Fires, Surfaces and Galaxy Tabs. Tablets are absolutely killing demand, says an IHS iSuppli Consumer Electronics Special Report. 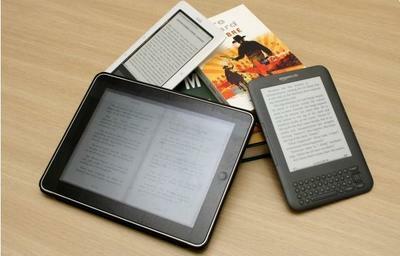 By the end of 2012, just 14.9 million e-readers are estimated to be sold. That’s a whopping 36 percent decrease from 2011’s 23.2 million units shipped. And next year, the market is on track to drop further still, by another 27 percent (or 10.9 million units). The flameout is happening for one simple reason: E-readers simply can’t compete with tablets that not only offer the same e-books, but also feature boatloads of apps for games, news feeds, communications, social networks, video streaming and much, much more. How do you beat that? It’s not by staying stagnant. Unfortunately, there has been a woeful lack of innovation in e-readers this year. That has led to many early adopters looking around for something better, and coming up empty-handed in this category. As such, they’re upgrading to tablets, whose manufacturers could benefit from the e-reader’s demise as it could loosen some supply chain issues in manufacturing. That’s not to say that these companies are resting on their laurels. This year, many of the major makers — including Amazon, Barnes and Noble and Kobo — have been focusing on global expansion. They’ve entered 30 different countries, opening new online bookstores and striking deals with retail partners. Presumably, all of this effort is to pave the way for new products, possibly in 2013. A new crop of e-readers could even feature Triton 2 technology to bring luscious, full-color e-ink displays to the masses next year. But the big question is, by then, will it be too late? Personally, I hope not. I’m still a fan of e-readers, or at least my eyeballs are. As much as I love my tablet, I can’t stand lengthy eye-straining, headache-inducing reading sessions on it. But the writing may be on the wall at this point. It certainly wouldn’t be the first time a dedicated, single-purpose device has fallen victim to a more robust mobile gadget. Just ask the GPS, digital camera, alarm clock, voice recorder or good old MP3 player, and they’ll tell you their sob stories. Good luck, e-readers. Hey, even if you crash and burn in the consumer goods market, at least there’s the education sector. You’re still sexier than a pile of textbooks crammed into a student’s backpack, and your affordability could make you seem shiny and new to teachers and school administrators. Just a thought.